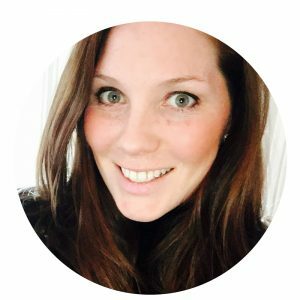 This week’s theme for the Virtual Book Club for Kids is chicks! What a fun theme to go along with the book, Peep and Egg: I’m Not Hatching, a super sweet story about friendship for the Spring. 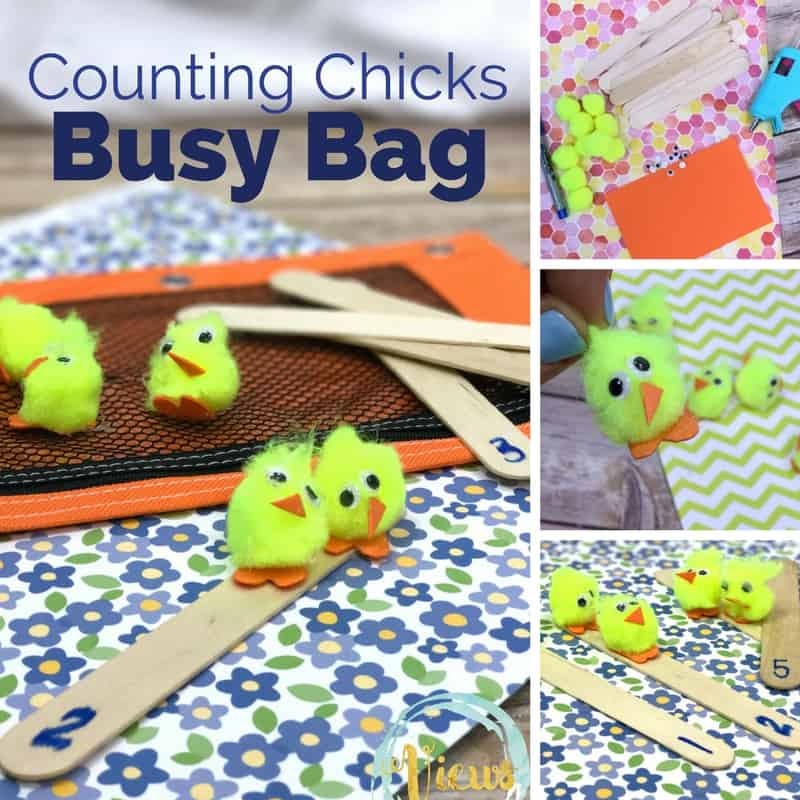 This counting chicks busy bag is great for preschoolers to work on counting practice, and for toddlers to work on some small motor skills and color identification. 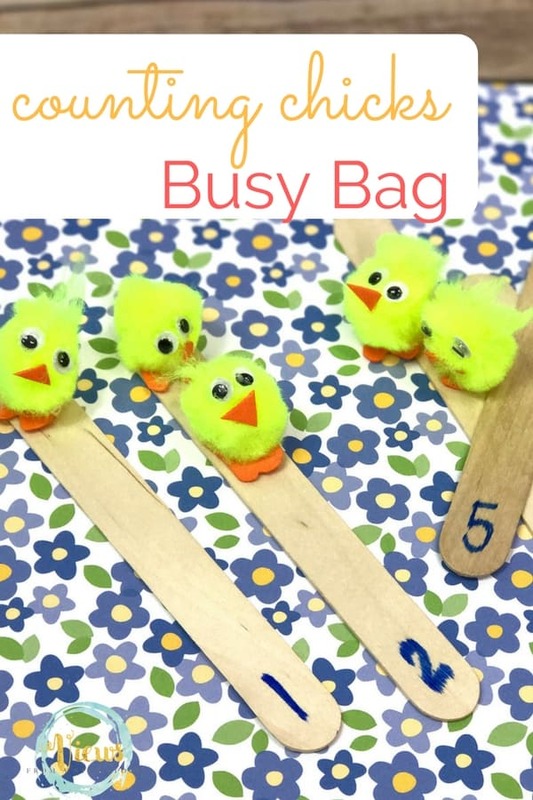 My one and three-year olds are both learning different skills with this busy bag, yet are equally as engaged. 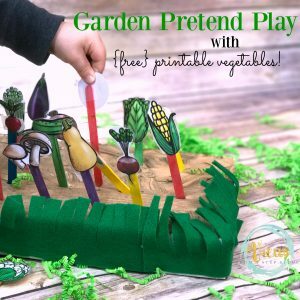 And, check out how we make it for fun my Kindergartener! 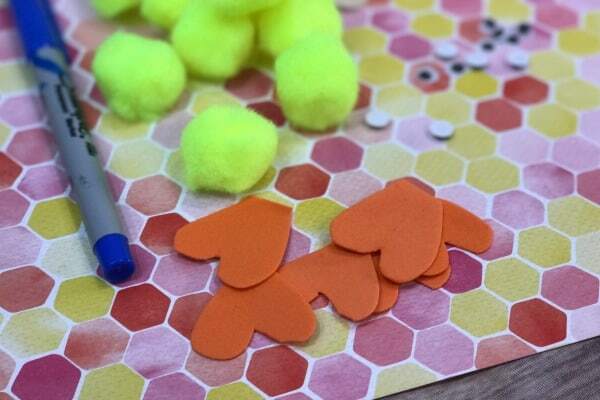 Cut out feet and beaks from orange craft foam. 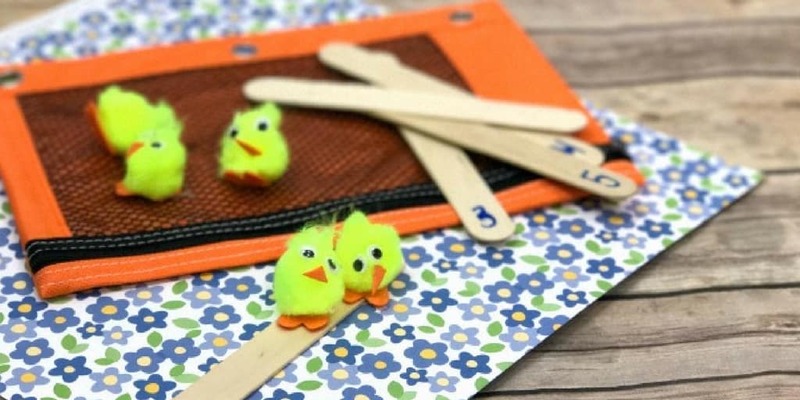 You can use felt for this but we have a stock pile of craft foam that we love to use for busy bags (check out these fun rainbow busy bags made from craft foam!). 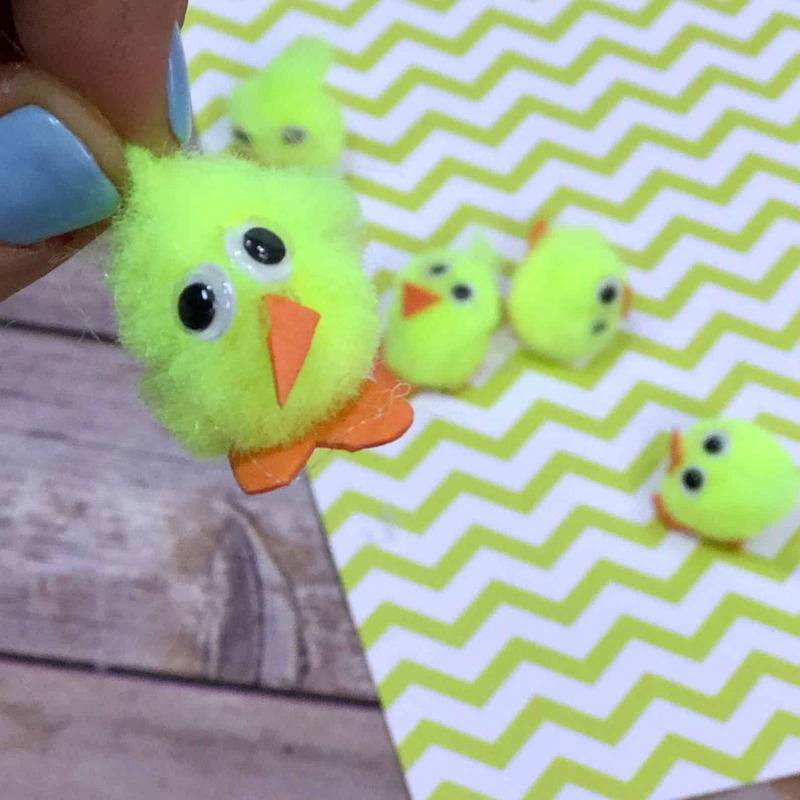 Attach the eyes, feet and beak to each yellow pom pom with hot glue. 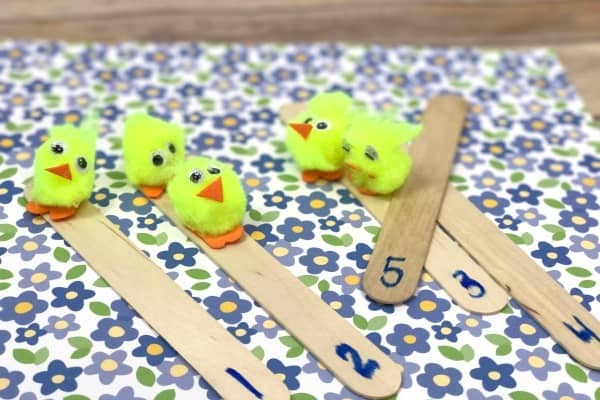 Write the numbers on the craft sticks. 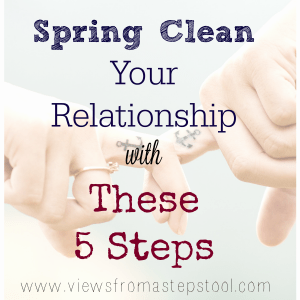 We did 1-5 but you could do higher numbers if your kids are ready for them. 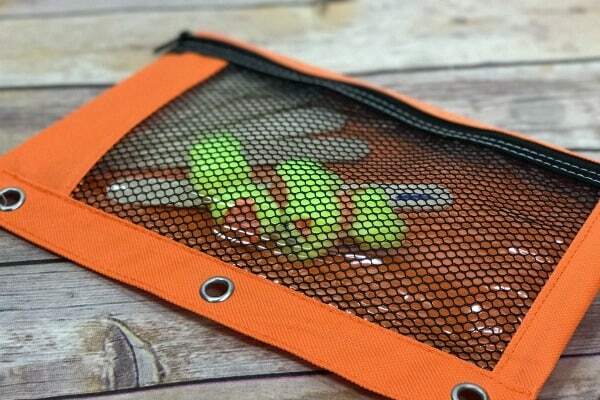 We like to keep all of our busy bag materials in zippered pencil pouches because this makes them easy to store, and grab and throw in my purse! 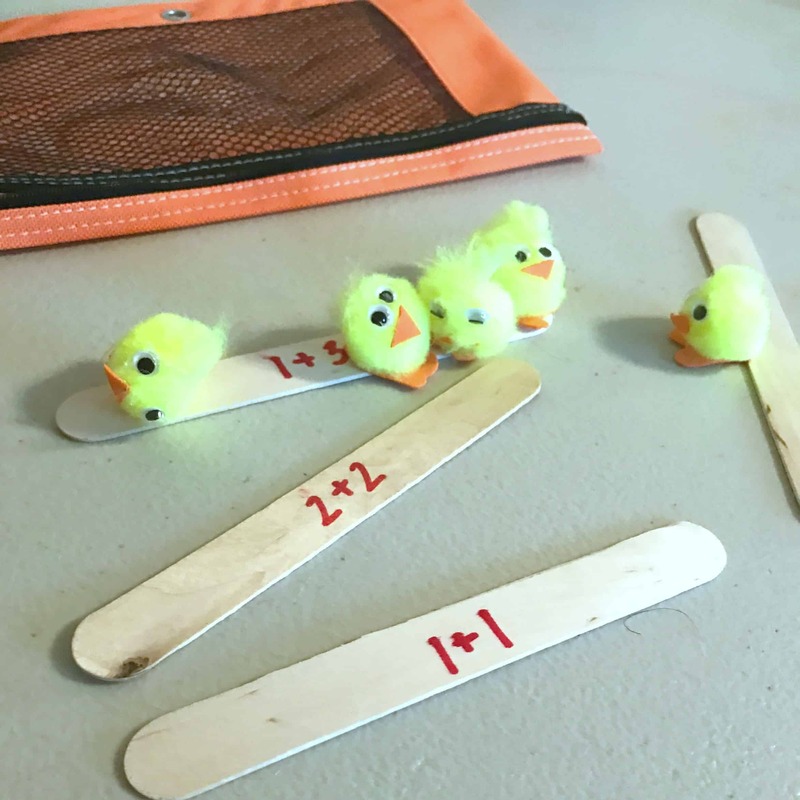 For my Kindergartener, I put some simple addition problems on the back of the sticks. 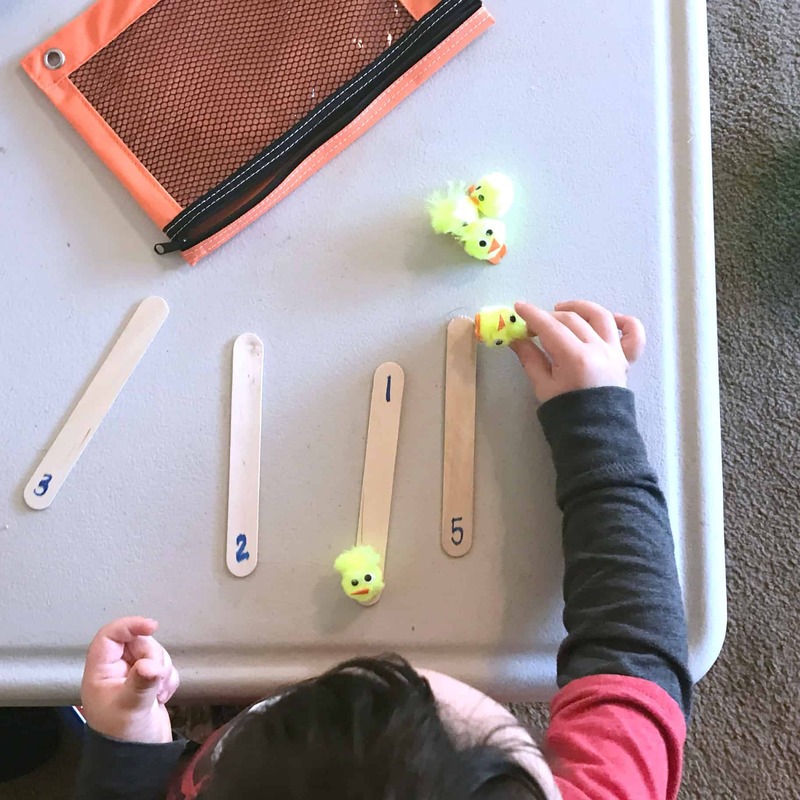 He is getting really good at these simple problems but still enjoys being able to solve them all on his own. 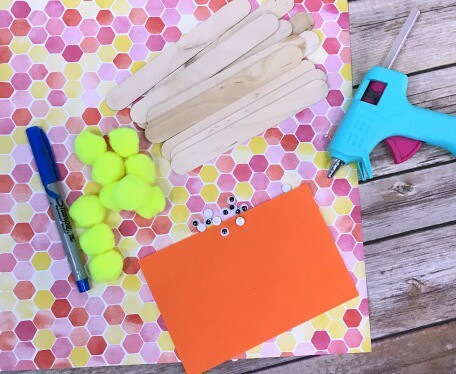 When I make busy bags for my kids, I like to keep the material simple so that they can do them on their own. 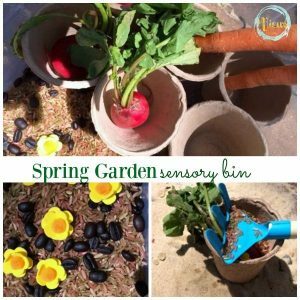 This makes them great for independent quiet time or places like church where we can’t talk and discuss problems. 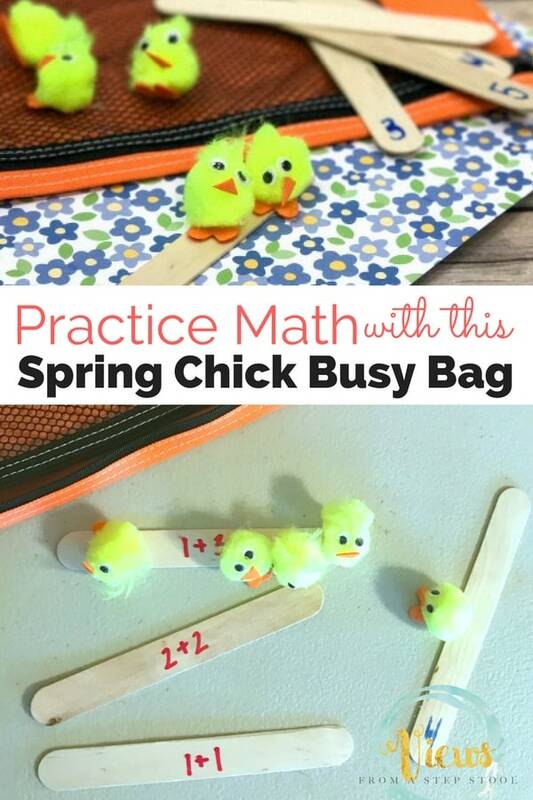 Enjoy this simple counting chicks busy bag with your little ones! 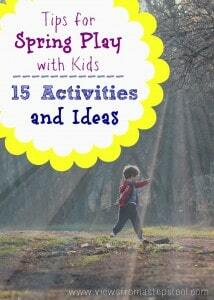 More Spring play ideas for kids!